Pakistan’s seventh defence exhibition showcasing its military goods starts from Wednesday, 7 November 2012 at the Karachi Expo Centre, with officials stating that the event is more about Islamabad’s determination to reassert its presence in the global arms and ammunition market, rather than sealing immediate deals. 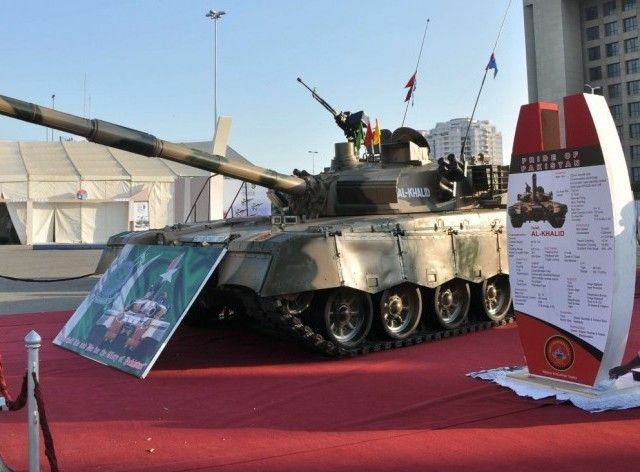 Pakistan has put its prized Al-Khalid tank up for sale as well, just like it has been doing for quite some time now. The country has still not been able to export it though. The International Defence Exhibition and Seminar (IDEAS) 2012 has drawn delegates from around the world, including 130 foreign firms. China and Turkey have also set up their own pavilions. Light and heavy machine guns made at the Pakistan Ordnance Factory are also up for grabs.